The model of the Cheval Turc was inspired partly by Théodore Géricault's paintings of unrestrained horses. The sculpture conveys the themes of strength and emotion central to the Romantic movement in his powerful muscular body, windswept mane and open mouth. 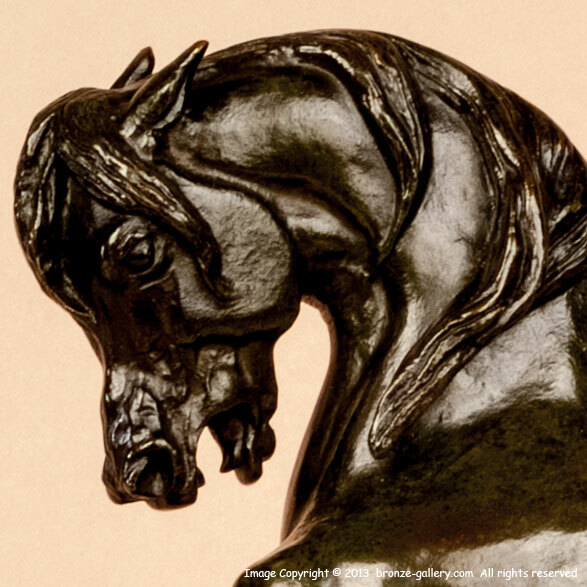 The Cheval Turc is the ultimate subject that above all others symbolizes Barye's own personal and innovative sculptural vision. Due to the success of the Cheval Turc, Barye did four versions of this model. 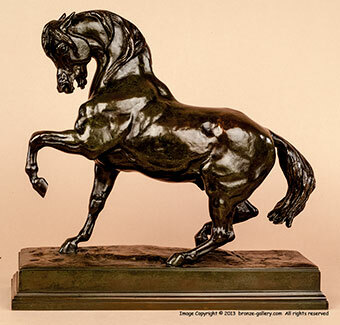 The first versions with either the right foreleg or left foreleg raised, had rectangular bases and the second versions were done with an oval stepped base. The Cheval Turc with Left Foreleg raised on the rectangular base we offer here is a superb cast done by the Barbedienne Foundry in the mid 19th century. 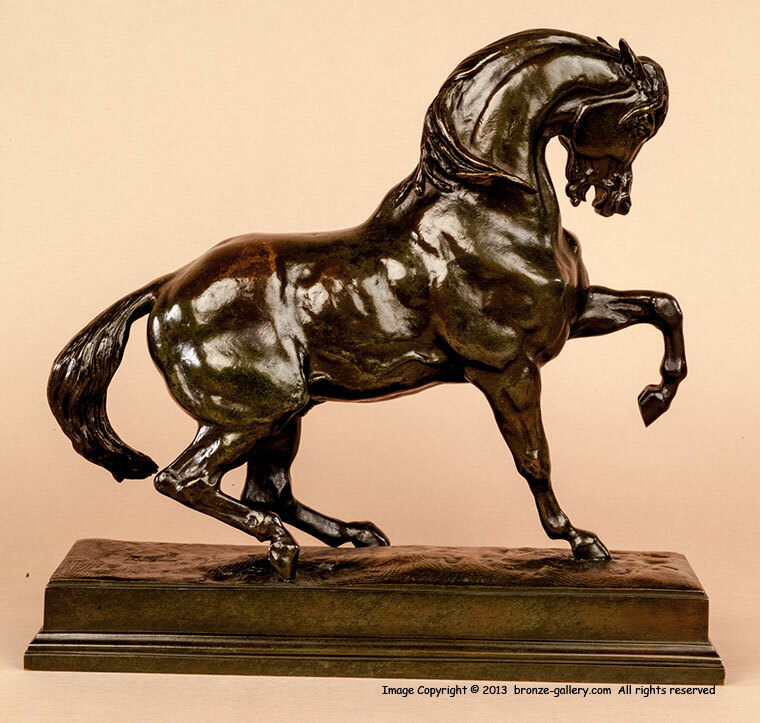 Barbedienne was one of the finest foundries and cast many of Barye's successful works, they edited the Cheval Turc in 3 sizes, this is the largest size. The patina is a rich soft green with shades of brown and black, and the cast is sharply detailed. It is signed BARYE on the base with F.BARBEDIENNE Fondeur and the underside of the base has "43 Z" stamped at one end with ink numbers and letters "5540 Sni" at the other end, marked by the foundry workers as is correct for this foundry. The earliest casts of the Cheval Turc sell for up to the high 6 figures and we are pleased to offer this fine original Barbedienne cast for a more reasonable price. A wonderful model to live with and a fine investment.